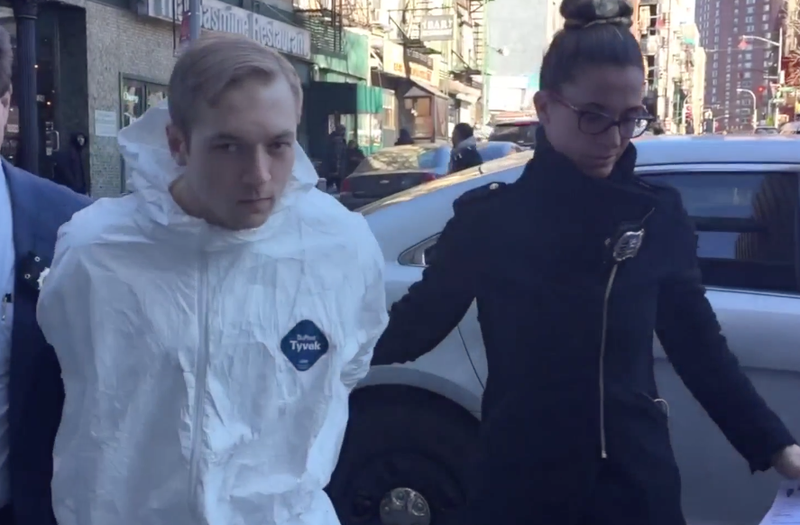 The self-proclaimed white supremacist charged with fatally stabbing a New York City man to death last week voiced regret that the victim was not a young black man, or else a more successful older black man. The New York Daily News secured an exclusive Rikers Island jail interview with 28-year-old James Harris Jackson, who is accused of stabbing 66-year-old Timothy Caughman to death with a mini sword and is currently facing charges of second-degree murder as a hate crime, though those charges are likely to be upgraded. “I didn’t know he was elderly,” Jackson told the news site of Caughman. Jackson, authorities say, intended for the stabbing of Caughman to be “a practice run” for his larger plan, but he apparently lost interest after killing the man. Jackson told the news site that his family did not raise him this way, calling his family “as liberal as they come ... typical liberal Democrats,” although, according to the News, he acknowledged that he had his first racist thoughts when he was just 3 years old. “The white race is being eroded. ... No one cares about you. The Chinese don’t care about you, the blacks don’t care about you,” he said. Police say that the accused murderer rode a bus from Baltimore to New York City on March 17 just to target black men, choosing to commit the crime in the “media capital of the world” to make the biggest statement he could. Last Monday, authorities say, Jackson stalked one black man but got “spooked” and then turned his attention to Caughman, a bottle collector from Queens, N.Y. Jackson repeatedly stabbed Caughman in the chest with his 18-inch blade, authorities say. “I figured they were fatal blows,” Jackson told the news site. According to the Daily News, Jackson does not know why he is facing hate crime charges. “I don’t hate anyone. I don’t think it is on my level,” he said.